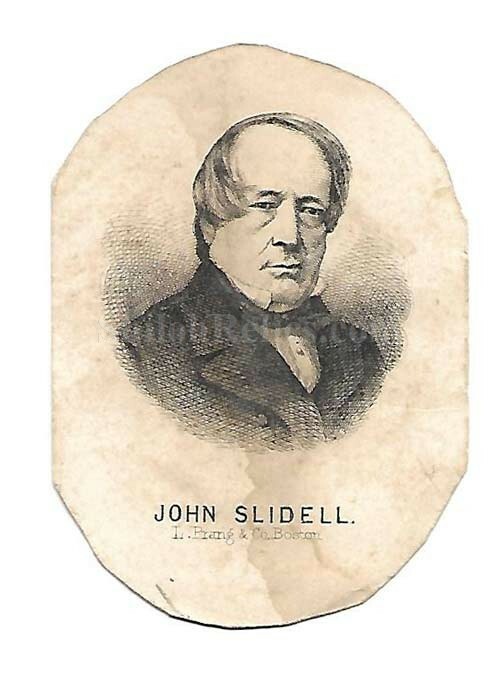 Here is an original CDV image of Confederate diplomat, John Slidell. John Slidell was born in New York City in 1793. In 1819 he moved to New Orleans, Louisiana after his retail business failed during the war of 1812. In 1843 he was elected to the US House of Representatives and was a strong supporter of states rights. He was a strong supporter for the Democrat candidate for president in 1844, James Knox Polk. Polk returned the favor by appointing Slidell as Commissioner to Mexico. In 1853 he was elected to the U.S. Senate. During the 1860 presidential campaign he supported John C Breckenridge and when Abraham Lincoln was elected he opted to secede along with the Confederacy. He was the Confederate representative in France. He was at the center of the "Trent Affair" when he and another diplomat, James M. Mason, were removed from their British ownership by the commander of the union ship. He lobbied for the Confederacy throughout the Civil War. After the war he never returned to Louisiana, as he was afraid for his safety and Union retribution. He stayed in England for the rest of his life where he died in London, England on July 29, 1871. The image is one of the ones made from an engraving plate and shows the stately Slidell in a fine suit of clothes. The card has the publisher Mark from the Prang firm of Boston. 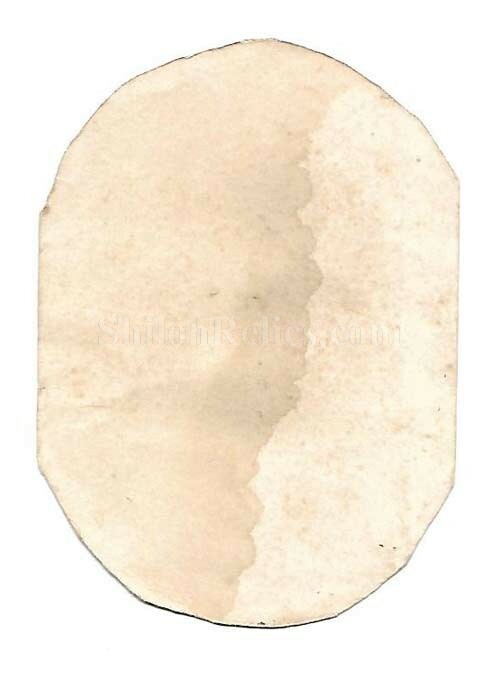 The nice original CDV of one of the Confederate diplomats of the Civil War.